Located on the central Anatolia plateau within a volcanic landscape sculpted by erosion to form a succession of mountain ridges, valleys and pinnacles known as “fairy chimneys” or hoodoos, Göreme National Park and the Rock Sites of Cappadocia cover the region between the cities of Nevşehir, Ürgüp and Avanos, the sites of Karain, Karlık, Yeşilöz, Soğanlı and the subterranean cities of Kaymaklı and Derinkuyu. The area is bounded on the south and east by ranges of extinct volcanoes with Erciyes Dağ (3916 m) at one end and Hasan Dağ (3253 m) at the other. The density of its rock-hewn cells, churches, troglodyte villages and subterranean cities within the rock formations make it one of the world's most striking and largest cave-dwelling complexes. Though interesting from a geological and ethnological point of view, the incomparable beauty of the decor of the Christian sanctuaries makes Cappadocia one of the leading examples of the post-iconoclastic Byzantine art period. It is believed that the first signs of monastic activity in Cappadocia date back to the 4th century at which time small anchorite communities, acting on the teachings of Basileios the Great, Bishop of Kayseri, began inhabiting cells hewn in the rock. In later periods, in order to resist Arab invasions, they began banding together into troglodyte villages or subterranean towns such as Kaymakli or Derinkuyu which served as places of refuge. Cappadocian monasticism was already well established in the iconoclastic period (725-842) as illustrated by the decoration of many sanctuaries which kept a strict minimum of symbols (most often sculpted or tempera painted crosses). However, after 842 many rupestral churches were dug in Cappadocia and richly decorated with brightly coloured figurative painting. Those in the Göreme Valley include Tokalı Kilise and El Nazar Kilise (10th century), St. Barbara Kilise and Saklı Kilise (11th century) and Elmalı Kilise and Karanlık Kilise (end of the 12th – beginning of the 13th century). Criterion (i): Owing to their quality and density, the rupestral sanctuaries of Cappadocia constitute a unique artistic achievement offering irreplaceable testimony to the post-iconoclastic Byzantine art period. Criterion (iii): The rupestral dwellings, villages, convents and churches retain the fossilized image of a province of the Byzantine Empire between the 4th century and the arrival of the Seljuk Turks (1071). Thus, they are the essential vestiges of a civilization which has disappeared. Criterion (v): Cappadocia is an outstanding example of a traditional human settlement which has become vulnerable under the combined effects of natural erosion and, more recently, tourism. Criterion (vii): In a spectacular landscape dramatically demonstrating erosional forces, the Göreme Valley and its surroundings provide a globally renowned and accessible display of hoodoo landforms and other erosional features, which are of great beauty, and which interact with the cultural elements of the landscape. Göreme National Park and the Rock Sites of Cappadocia, having been extensively used and modified by man for centuries, is a landscape of harmony combining human interaction and settlement with dramatic natural landforms. There has been some earthquake damage to some of the cones and the pillars, but this is seen as a naturally occurring phenomenon. Overuse by tourists and some vandalism have been reported and some incompatible structures have been introduced. The erosional processes that formed the distinctive conical rock structures will continue to create new fairy chimneys and rock pillars, however due to the rate of this process, the natural values of the property may still be threatened by unsustainable use. The cultural features, including rock-hewn churches and related cultural structures, mainly at risk of being undermined by erosion and other negative natural processes coupled with mass tourism and development pressures, can never be replaced. threats Some of the churches mentioned by early scholars such as C. Texier, H.G. Rott and Guillaume de Jerphanion are no longer extant. The property meets the conditions of authenticity as its values and their attributes, including its historical setting, form, design, material and workmanship adequately reflect the cultural and natural values recognized in the inscription criteria. Given the technical difficulties of building in this region, where it is a matter of hewing out structures within the natural rock, creating architecture by the removal of material rather than by putting it together to form the elements of a building, the underlying morphological structure and the difficulties inherent in the handling of the material inhibited the creative impulses of the builders. This conditioning of human effort by natural conditions persisted almost unchanged through successive periods and civilizations, influencing the cultural attitudes and technical skills of each succeeding generation. 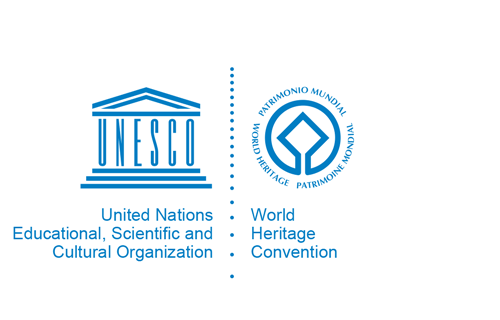 The World Heritage property Göreme National Park and the Rock Sites of Cappadocia is subject to legal protection in accordance with both the Protection of Cultural and Natural Resources Act No. 2863 and the National Parks Act No. 2873. The entire territory between the cities of Nevşehir, Ürgüp and Avanos is designated as a National Park under the Act No. 2873. In addition, natural, archaeological, urban, and mixed archaeological and natural conservation areas, two underground towns, five troglodyte villages, and more than 200 individual rock-hewn churches, some of which contain numerous frescoes, have been entered into the register of immovable monuments and sites according to the Act No. 2863. Legal protection, management and monitoring of the Göreme National Park and the Rock Sites of Cappadocia fall within the scope of national and regional governmental administrations. The Nevşehir and Kayseri Regional Conservation Councils are responsible for keeping the register of monuments and sites, including carrying out all tasks related to the legal protection of monuments and listed buildings and the approval to carry out any restoration-related works. They also evaluate regional and conservation area plans prepared by the responsible national and/or local (i.e. municipal) authorities. Studies for revision and updating of the existing land use and conservation plan (Göreme National Park Long-term Development Plan) of 1981 were completed in 2003. The major planning decisions proposed were that natural conservation areas are to be protected as they were declared in 1976. Minor adjustments in the peripheral areas of settlements and spatial developments of towns located in the natural conservation sites including Göreme, Ortahisar, Çavuşin, Ürgüp and Mustafapaşa will be strictly controlled. In other words, the Plan proposes to confine the physical growth of these towns to recently established zones. Hotel developments will take into account the set limits for room capacities. Furthermore, the plan also suggested that local authorities should be advised to review land use decisions for areas that have been reserved for tourism developments in the town plans. Preparation of conservation area plans for the urban and/or mixed urban-archaeological conservation sites within the historic sections of Göreme are in place and provide zoning criteria and the rules and guidelines to be used in the maintenance and restoration of listed buildings and other buildings which are not registered, but which are located within the historic zones. Similar planning studies for the towns of Ortahisar and Uçhisar are in place. Once finalised, a conservation area plan for the urban conservation area in Ürgüp will be in place. All relevant plans are kept up to date on a continuing basis. Appropriate facilities aimed at improving the understanding of the World Heritage property have been completed for the subterranean towns of Kaymaklı and Derinkuyu, and are required for Göreme and Paşabağı. Monuments in danger due to erosion, including the El Nazar, Elmalı, and Meryemana (Virgin Mary) churches, have been listed as monuments requiring priority action. Specific measures for their protection, restoration and maintenance are required at the site level. While conservation plans and protection measures are in place for individual sites, it is recognised by the principal parties responsible for site management that an integrated Regional Plan for the Cappadocia Cultural and Tourism Conservation and Development Area is required to protect the World Heritage values of the property. Adequate financial, political and technical support is also required to secure the management of the property.